The United Arab Emirates (UAE) is an affluent country situated in the oil-rich Persian Gulf. It shares its borders with Saudi Arabia to the south and Oman to the east. 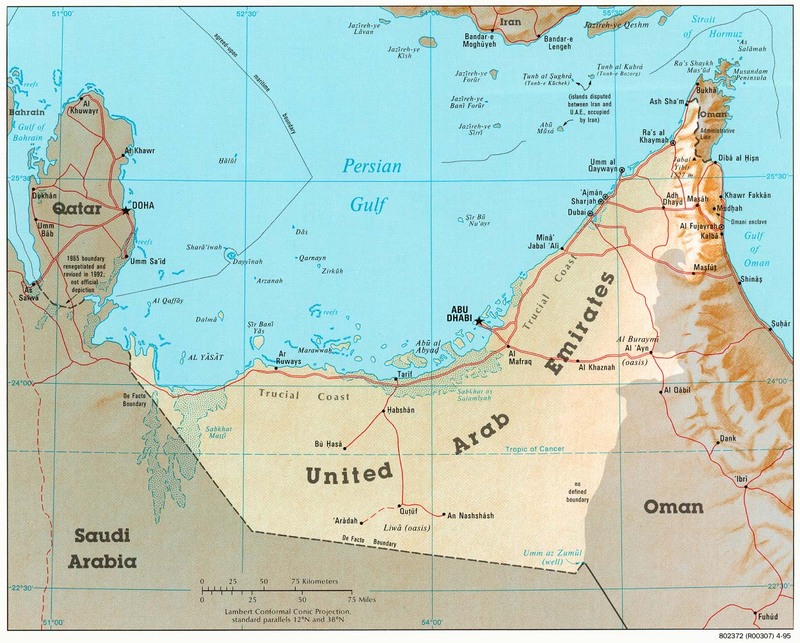 It also has sea borders with Qatar and Iran to the west and the north respectively. 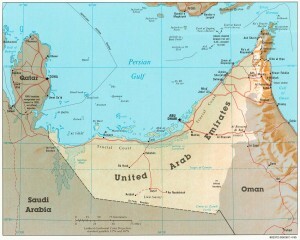 The UAE comprises of seven separate emirates or territories. The largest and easily the most famous of these emirates is Dubai. The other well-known emirates include Sharjah, Ajman, Fujairah and Abu Dhabi, the capital and cultural hub of the UAE. Though the UAE is officially an Islamic nation, it is a melting pot of different cultures and ethnicities. A very large percentage of the country’s population consists of migrant labor mostly from India, Pakistan, Bangladesh and other Asian nations. The country is a monarchy that is governed collectively by the emirs, or heads, of each of the seven emirates. The UAE’s wealth stems mainly from its massive oil reserves. The country has the 17th largest natural gas reserves and seventh largest oil reserves in the world. In recent years, the rulers of the country have used its abundant wealth to radically transform the nation. Few UAE cities exemplify the transformation more so than Dubai. Over the past 25 years, Dubai has emerged as a truly global city that attracts the rich and the famous from around the world. The city’s skyline boasts of some of the tallest and most spectacular buildings in the world including the Burj Khalifa and the Burj al Arab, the world’s only 7-star hotel. Overall, UAE ranks as the 14the best nation in the world for businesses largely because of its progressive economic policies, its modern, high-tech infrastructure and the relatively ready supply of skilled manpower. As one of the richest nations on earth, Dubai is a bustling market for automobiles, especially luxury vehicles. Each year. thousands of people use United Arab Emirates international shipping companies to transport cars between the UAE and the United States. The UAE imposes a five percent tax on all vehicles being imported to the country but has no other major restrictions otherwise. As a result, international shipping to the United Arab Emirates from the U.S. and other regions of the world is a fairly straightforward task for those willing to absorb the relatively high shipping costs. Shipping a car from the United Arab Emirates to the United States is also relatively simple so long as the vehicle meets all U.S. safety and emissions standards. Most auto transport companies offer customers the choice of a 20-foot or a 40-foot container for shipping a car to the United Arab Emirates from North America or from the UAE to the U.S. Shipping costs vary quite a bit depending on port of origin and destination. Typically though, the costs tend to range between $2,000 and $3,500. Roll on Roll off (RoRo) shipping services and less-than-container-load (LCL) services offer lower cost options for shipping to the United Arab Emirates. With RoRo shipping, the car is simply driven on board a special purpose car carrier and transported to its destination. With LCL services, multiple customers share a single container for transporting goods.